Hey, it’s Dr. Jack here, The Paleo Cardiologist. I want to talk to you today about the importance of eating seafood. 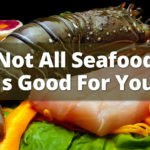 Seafood has been a staple of the human diet for millions and millions of years. It is loaded with so many different nutrients and is the only source of omega-3 as EPA and DHA. 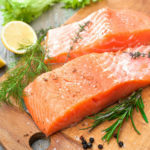 The best choices are wild salmon, sardine, anchovy, and shellfish. I test people’s heavy metals and there’s no issues when you stick with those foods. One of my favorites is eating sardines. When I used to work in the hospitals, I used to walk into the hospital with a can of sardines in one pocket and an avocado in the other, and it was absolutely delicious. I loved to leave a can of open sardines after I finished it in the doctor’s reading room where I was reading cardiac ultrasound, so all my other cardiology buddies would know I was there and hopefully recognize the importance of eating seafood. Now one of the main things in there is Omega-3 oils, DHA, EPA. The only way to get those oils is by eating seafood. You cannot get that from eating plant-based products. 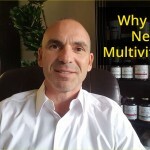 The body lacks what’s called the Delta-6 desaturase enzyme to any significant extent to really make high levels of Omega, DHA, EPA. When I test people’s omega-3 levels, invariably they are low , a sure sign they are not eating enough seafood. Certainly if they follow a vegan diet, omega-3 is disastrous. The literature is very clear on the benefits of DHA and Omega 3 fish oil in general…lowers inflammation, lowers allergies, decreased cardiovascular risk and improves brain health. The best thing to do is get it from your food from the aforementioned wild salmon, sardine, anchovy…that’s the number one way to do it. 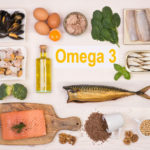 And then if necessary, to supplement with omega 3 fish oils and make sure you check out and find a good quality brand when it comes to your omega 3 oils. So, once again, get these into your diet. Another kind of secret of secret recipe regarding anchovy. Anchovy you can throw into the blender with olive oil, lemon, maybe throw some capers in there, a little bit of apple cider vinegar is also good as well. Throw that in there, make it into a “Caesar dressing” that goes on top of your salad. Your friends won’t know that there is anchovy in there, the family won’t know that there’s anchovy in there, unless you tell them of course. And they get all the benefits from that anchovy of course, including the bones. The bones are loaded with calcium, and that is the best way to do it. That’s how our ancestors did it and that’s how you’re going to achieve your optimum health.